The ci-management or releng/builder repos in an LF project consolidates the Jenkins jobs from project-specific VMs to a single Jenkins server. Each Git repo in every project has a view for their jobs on the main Jenkins server. The system utilizes Jenkins Job Builder for the creation and management of the Jenkins jobs. This section provides details on how to create jobs for new projects with minimal steps. All users in need to create or contribute to new job types should read and understand this guide. As a new project you will be mainly interested in getting your jobs to appear in the Jenkins server silo archiving it by creating a <project>.yaml in the releng/builder or ci-management project’s jjb directory. Where <new-project> should be the same name as your project’s Git repo in Gerrit. If your project name is “aaa” then create a new jjb/aaa directory. In similar matter, if your project name is “aaa/bbb” then create a new jjb/aaa-bbb directory by replacing all “/” with “-“. builder/jjb/global-jjb or ci-management/jjb/global-jjb are submodules of releng/builder or ci-management repositories which require a git submodule update --init or using –recursive with git clone to get them fetched. Replace all instances of <new-project> with the name of your project as explained before. The template above shows how to add each job from global-jjb. We recommend defining a local job-group for the project or defining each job needed in a list. Global-jjb defines groups of jobs recommended for ci, maven, python, node, rtd and more future languages as global-jjb is always under constant improvement. If you would like to explore more about these options available please refer to the Global JJB Templates section. The changes to these files get published in Gerrit and reviewed by the releng/builder or ci-management teams for the LF project. After approvals, these Gerrits get merged and the jobs published in Jenkins. git commit -sm "Add <new-project> jobs to Jenkins"
This will push the jobs to Gerrit and your jobs will appear in Jenkins once the releng/builder or ci-management teams has reviewed and merged your patch. Jenkins jobs run on build minions (executors) created on demand and deleted when the job terminates. Jenkins supports different types of dynamic build nodes and developers must know the flavors available to run their custom jobs. Projects requiring a specific build configuration can submit a change to the ci-management or releng repos. Refer to the Jenkins Configuration Merge section to understand how the configuration changes get merged. For details on how to build an image for a particular build flavor, refer to the :ref: Packer Images <lfdocs-packer-images> section. Click Test Connection to make sure the parameters provided establishes a connection. The value should match an available Label for the node template. This section points to each LF project’s build minions availability and flavors. While Jenkins stores the console logs on the Jenkins instance, this is short term and typically depending on the job type purged after a week. We highly recommend preferring the log server over the Jenkins system when viewing console logs as it reduces load on Jenkins and we compress logs stored on the log server so downloads are faster. We store Log server archives for 6 months. At the end of a build the job ships logs to a Nexus logs repo and can be conveniently accessed via the https://logs.example.org URL. The Job Build Description will contain the specific log server URL for a build log. Jobs triggered via Gerrit Trigger will have the URL to the logs left as a post build comment. The log path pattern for the logs server is LOG_SERVER_URL/SILO/JENKINS_HOSTNAME/JOB_NAME/BUILD_NUMBER typically if you know the JOB_NAME and BUILD_NUMBER you can replace the paths before it to convert the URL between Jenkins and the Log server. We compress and store individual log files in gzip (.gz) format on the Nexus log repository. You can access these files through the URL. The log servers are setup with cron jobs that purge logs during regular scheduled intervals. Jenkins Production: Delete logs everyday at 08:00 UTC which are older than 180 days. Jenkins Sandbox: Delete logs and jobs every week on Saturday at 08:00 UTC. Jenkins Job Builder takes simple descriptions of Jenkins jobs in YAML format and uses them to configure Jenkins. 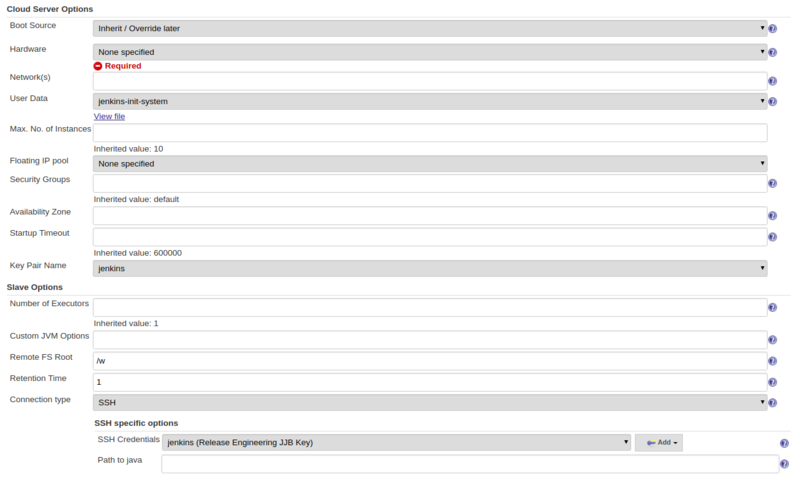 Jenkins Job Builder translates YAML code to job configuration suitable for consumption by Jenkins. When testing new Jenkins Jobs in the Jeknins Sandbox, you will need to use the jenkins-jobs executable to translate a set of jobs into their XML descriptions and upload them to the Jenkins Sandbox server. You can install the latest version of JJB and its dependencies with pip using Python Virtual Environments or lock a specific version of JJB in jjb/requirements.txt , as a workaround for known issues. The documentation is available in pip-assisted install. For pip-assisted, we recommend using Python Virtual Environments to manage JJB and it’s Python dependencies. A virtual environment is a directory that you install Python programs into and update the shell’s $PATH, which allows the version installed in the virtual environment to take precedence over any system-wide versions available. Create a new virtual environment for JJB. With in your virtual environment active, you can install JJB which is visible when the virtual environment that is active. To activate your virtual environment. To deactivate your virtual environment. To install JJB and its dependencies, make sure you have created and activated a virtual environment for JJB. If a requirements.txt exists in the repository with the recommended JJB version then, use the requirements file to install JJB by calling. For infra admins, the CI Job Templates contain useful jobs for managing Jenkins and VM Images. We recommend to deploy these jobs to all new infra projects. Replace BUILDER with the name of your desired builder image type. The templates file contains packer configuration information for building the image. The provision file is a script for running commands inside the packer-builder to construct the image. We recommend using the Ansible provisioner as that is the standard used by LF packer builds. While developing a new builder image type, we can use the Jenkins Sandbox to build and deploy the image for testing. 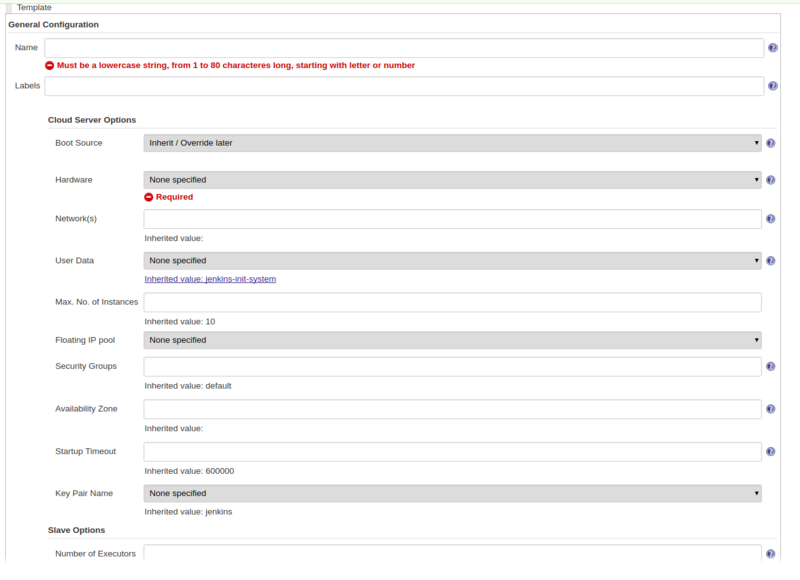 Configure a Jenkins Job the new image type using the global-jjb gerrit-packer-merge job template. The gerrit-packer-merge job creates jobs in the format PROJECT_NAME-packer-merge-PLATFORM-TEMPLATE. Where PROJECT_NAME is the project-name field, PLATFORM is the platforms field, and TEMPLATES is the templates field in the yaml above. In this example the resultant job is builder-packer-merge-centos-7-robot. Follow the instructions in the Pushing a patch to Gerrit section to push this job to the Sandbox. This line provides the name of the new image we built. The Jenkins server is the home for all project’s Jenkins jobs. Most of the job configuration gets managed through code using JJB through the ci-management or releng/builder repos. Project contributors do not edit the Jenkins jobs directly on the Jenkins production server. Instead, we encourage them to use the Jenkins Sandbox. 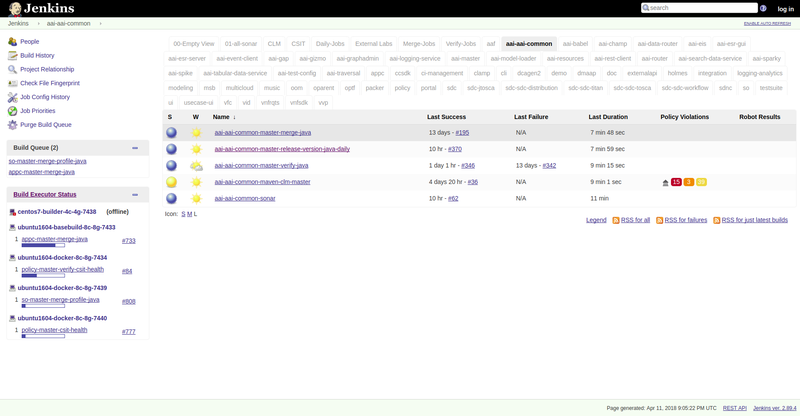 The Jenkins Sandbox has similar configuration to the production instance. Jenkins Sandbox does not publish artifacts in Nexus or Nexus3 or vote in Gerrit which makes it a safe environment to test the jobs. Users can edit and trigger the jobs directly to test the behavior. The Jenkins Sandbox can contain dummy configuration files and dummy credentials in case it helps take the test further and not fail on the first steps due to the configuration not being present. Any attempt to actually use the configuration files in order to make any server communications will fail. To add dummy configuration files, please create a new ticket to Helpdesk. In such case, merge jobs, push, CLM, Docker or Sonar jobs get tested to some extent due to this limitation. Once the job template gets merged and becomes available in Jenkins Production, we can confirm the jobs are actually making server communications as expected with Nexus-IQ, Sonar, Gerrit or Nexus. The Sandbox has limited amount of Virtual Machine nodes instances to test compared to production Jenkins. Documentation on using the Jenkins Sandbox and uploading jobs is available here. © Copyright 2017-2018, The Linux Foundation.